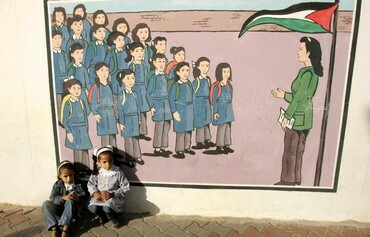 UK and UNRWA Education for Peace: What will be? The Center for Near East Policy Research was asked by a British Member of Parliament, about the UK’s role in the UNRWA facilities that education of 492,000 children who learn in UNRWA schools, from grades 1 to 9, throughout Judea, Samaria, Jerusalem and Israel itself. The MP also inquired about the nature of that education. Dr. Groiss found that the prime “value” that weaves itself throughout almost all of the PA/UNRWA school books is the call for students to strive for the “right of return” to villages –which their grandparents left in 1948. PA/UNRWA education leaves the UNRWA student with no other option left open for a better life, such as the transformation of their “temporary” refugee camps – since 1949- into a permanent place of a dignified life. In that context, Dr. Goiss posits there is reason for hope, because the UNRWA motto is: “PEACE STARTS HERE”. The UK, as an UNRWA donor, may wish to introduce a policy – together with other donors – to condition UNRWA aid on implementation of a “PEACE STARTS HERE” curriculum in UNRWA schools. How? Dr. Groiss suggests three steps. Every map that shows today’s political boundaries in the region should at least include a country named “Israel”. Such a territory must not be left un-named and certainly should not be named “Palestine”, as that constitutes a distortion of the present situation on the ground. Every discussion in the books concerning Holy places hould refer to the Jewish holy places alongside the Muslim and Christian ones. Any reference to a place which happens to be sacred to Jews (such as the Western Wall in Jerusalem, the Cave of the Patriarchs in Hebron, and Rachel’s Tomb in Bethlehem) should state that fact. Any discussion of subjects related to population and demography issues in the country should include the number of Jews living there (6.3 million in 2016). Any map that shows cities in the country should include the important Jewish cities as well (such as Tel Aviv, Eilat, Ashdod, etc.). The books should not use circumlocutions such as “the lands of 48”, “the Interior” or “the Green Line” instead of the phrase “Israeli territory”. Historical documents should not be falsified (the British Mandate stamp, for example, that has been reproduced in one of the schoolbooks). Schoolbooks should not include pieces which virulently demonize Israel/Jews, or de-humanize them, or any description that goes beyond the presentation of Israel and/or the Jews as an ordinary adversary with its own rights, interests and positions. It is much desired to add to the books the still non-existent material that deals with Israel and the Jews objectively (for example, pieces that talk about the Israeli government structure, economy, science and technology, the Hebrew culture, Jewish history, etc. ), which might balance the enormous anti-Israeli critical material in the books. It is important to stress in the books that, in spite of the conflict, the Jewish/Israeli individual is also a human being, apart from being an adversary, and should be treated accordingly. The books should emphasize that peace with the State of Israel is a strategic choice and that negotiations are the way to achieving a solution to the conflict. The books should refrain from any presentation of an armed or violent struggle as a means for solving the conflict. The traditional Islamic ideals of Jihad and martyrdom should be mentioned in historical contexts only and not as part of a future endeavor within the conflict. Any discussion of what is termed “Nakbah” should stress the fact that the Nakbah was a direct result of a war initiated by the Palestinian side itself and not of a Jewish aggression, contrary to what is said today in the books. Within this context, Palestinian children should be taught to recognize their own party’s shared responsibility for past events and not restrict that to the adversary alone. An example: the so-called “Separation Wall” was built to defend against bombing attacks by Palestinians. The so-called “Right of Return” should be presented as a demand representing the PLO position regarding the solution of what is termed “the Refugee Problem”, while the actual solution itself will be achieved in the framework of the negotiations between the two parties and on the basis of mutual agreement only. The writer, who runs Israel Resource News Agency and the Center for Near East Policy Research has been active in efforts to reform UNRWA for the past 28 years. David holds an MSW in community organization social work practice and is the author of Roadblock to Peace – How the UN Perpetuates the Arab-Israeli Conflict: UNRWA Policies Reconsidered. David has produced numerous monographs and films shot on location in UNRWA facilities. Next articleOBAMA’S BURDEN – THE NOBEL PEACE PRIZE.